It’s going to be a big week in Weston. On Canada Day, there will be a party in Weston Lions Park with fireworks and the usual whooping up. The old lady can still throw a good party, even at 147. 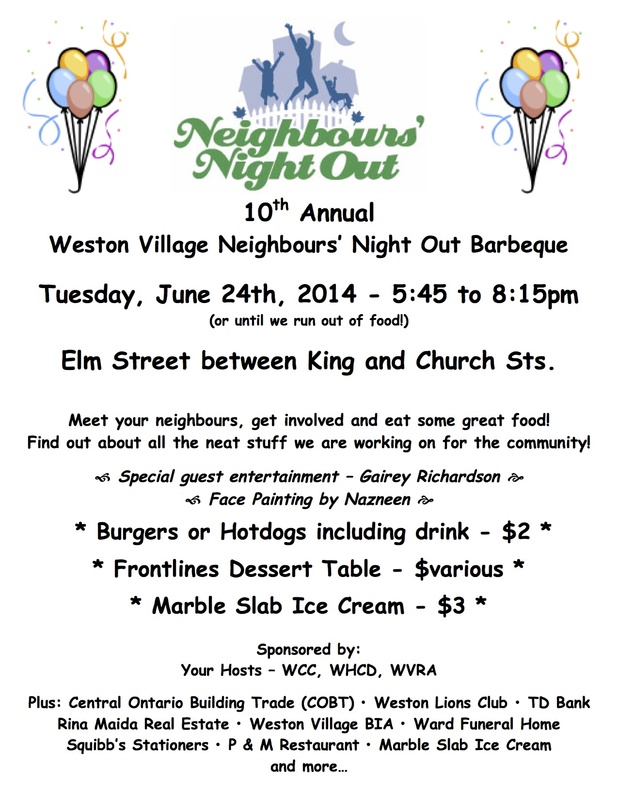 This Tuesday will be Neighbours’ Night Out. If you’ve never been, you must. It’s great. Frances Nunziata will be hosting a community meeting about community policing and the new Neighbourhood Improvement Area designation for Weston and Mount Dennis. The meeting will be Wednesday at 7 at the York West Active Living Centre. LUSO (2295 St. Clair Avenue West). She will be hosting another meeting next Monday at the Mount Dennis Legion, at 1050 Weston Rd. Previous Previous post: Climbdown on electrification?